Butler Watch Company salutes Richard "Butch" Pfeifer as a "Pillar of Aviation." Mr. Pfeifer is an active volunteer member of the San Mateo County Sheriff's Air Squadron in California. 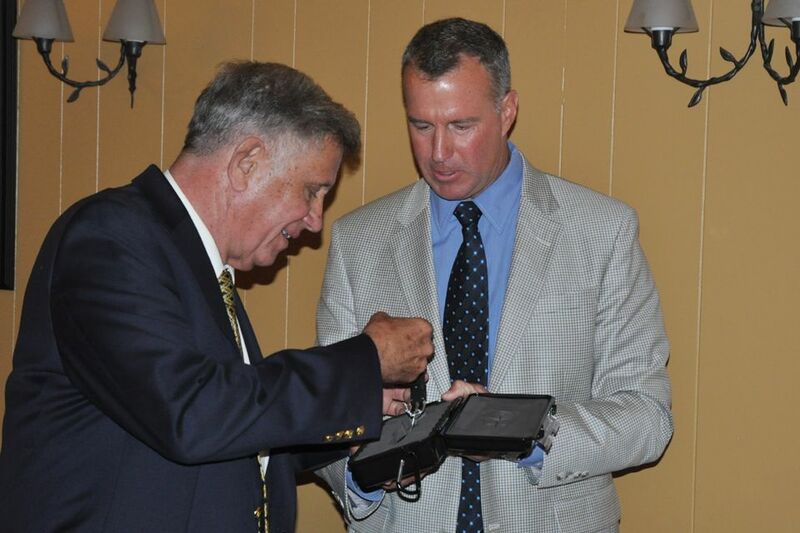 SAN MATEO, Calif. - June 15, 2015 - PRLog -- San Mateo County Sheriff's Air Squadron invited Corey Butler, President of Butler Watch Company, to their June 9th membership meeting to present Richard "Butch" Pfeifer with Butler Watch Company's "Pillar of Aviation" salute. Mr. Pfeifer, a retired United Airlines pilot, is a volunteer at the San Mateo County Sheriff's Air Squadron, where he is an inspirational influence to personnel and a keystone to the organization's operations. Mr. Pfeifer is dedicated to his work and the Air Squadron values his service and commitment. 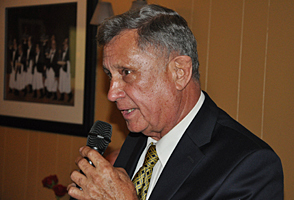 Corey Butler remarked, "We are happy to honor Mr. Pfeifer with our Pillar of Aviation salute. He has dedicated himself to this organization and he deserves recognition for the support and commitment to those around him. Mr. Pfeifer is the type of individual that uses his vast experience as a resource to provide positive support in his aviation community." The evening also included recognition of Mr. Walter Ramseur, who received the FAA Wright Brothers Master Pilot award for his 50 plus years of professionalism, skill, aviation expertise, and safety. Butler Watch Company uses the Pillar of Aviation salute to express the value of people throughout the world who dedicate themselves to making a positive contribution in aviation. People are the essential support that aviation depends on to exist as a safe and efficient endeavor, for everyone to enjoy. Butler Watch Company is a luxury wristwatch manufacturer with headquarters in Carmel, California. For more information, please visit the Butler Watch Company website, www.butlerwatch.com. Members are civilians who volunteer their time to provide air support on search and rescue operations and various other air related law enforcement missions. These dedicated volunteers not only pilot the Sheriff’s plane, but also maintain it to meet or exceed all associated standards.